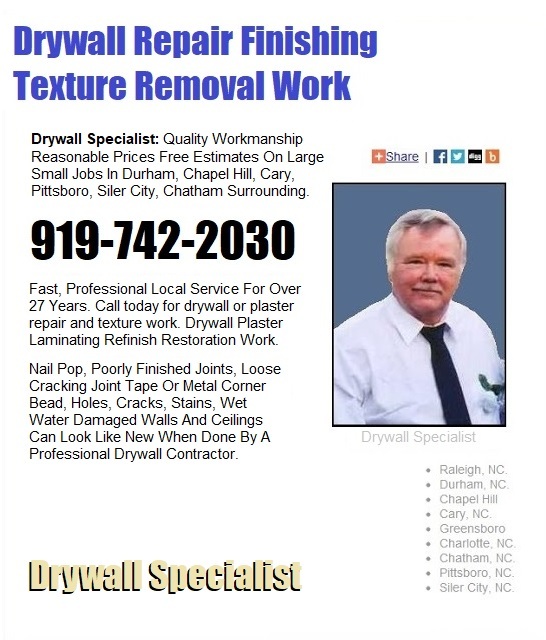 Live in Pittsboro an need a drywall repair contractor? a skille, experienced and highly trained expert. small jobs in Pittsboro and surrounding areas. look like new when friends or neighbors visit. Drywall Specialist Copyright 2018 All Rights Reserved 919-742-2030 - Pittsboro Drywall Repair.